The Vertical Mirror Mount Down features high performance optical mirrors which have a reflectivity of over 97% and perfect flat optical mirrors which preserve optical performance without impacting colour or contrast. 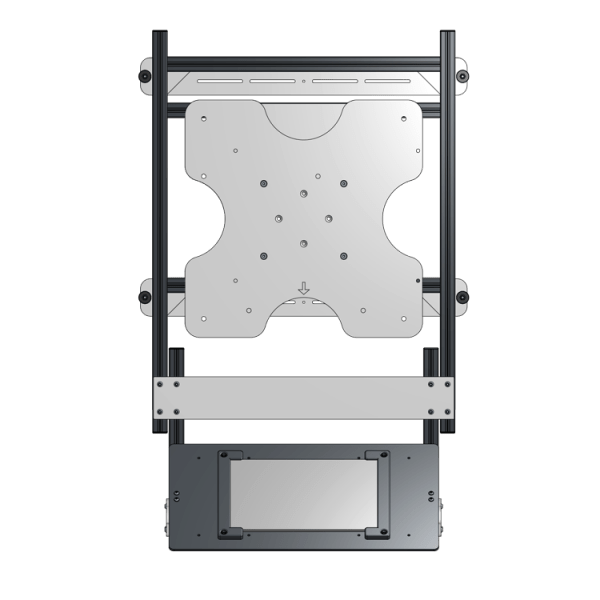 The custom projector interface is a result of the in house fabrication capabilities of DT Mounts and enables the projector to be fixed directly to the VMM-DWN quickly, easily and accurately straight out of the box. The flexible alignment adjustment makes it straightforward to align the VMM-DWN with the projector screen. Four corner adjustment allows correction for pitch and rotation and slide mounts enable accurate centre line alignment.